India captain Virat Kohli completed his 38th century in the one-day match played against West Indies in Pune. He scored 107 balls with 11 fours and a six in 119 balls. Along with that, he has become the first batsman of India to score a century in three consecutive matches of the same series. 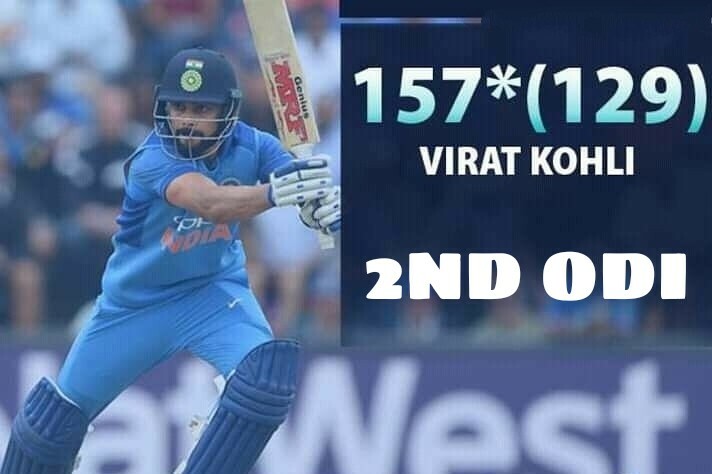 Virat scored 140 ODIs in the first match in Guwahati and played an unbeaten knock of 157 in the second match played at Visakhapatnam. 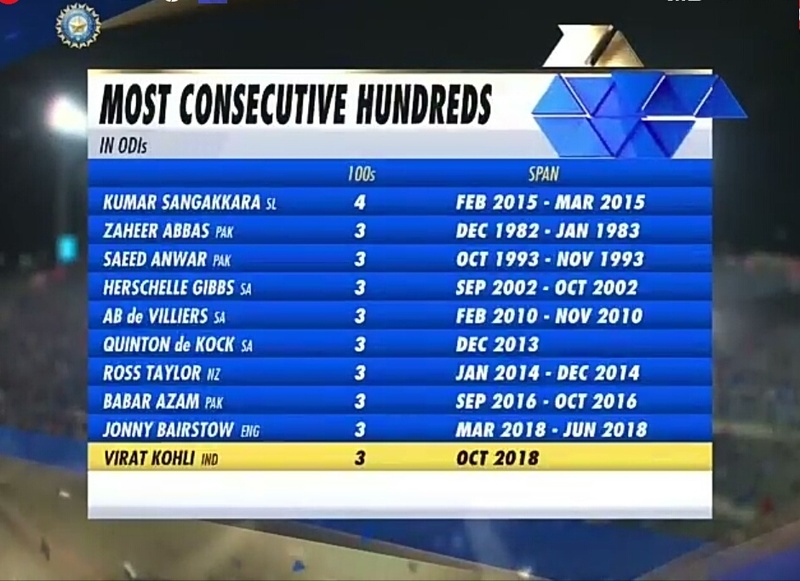 This is also the fourth consecutive century of Virat Kohli on his own ground. He had a 113-run knock against New Zealand in the Kanpur. However, the world record of making the most consecutive centuries in ODIs is the name of former Sri Lankan wicketkeeper batsman Kumar Sangakkara (4). 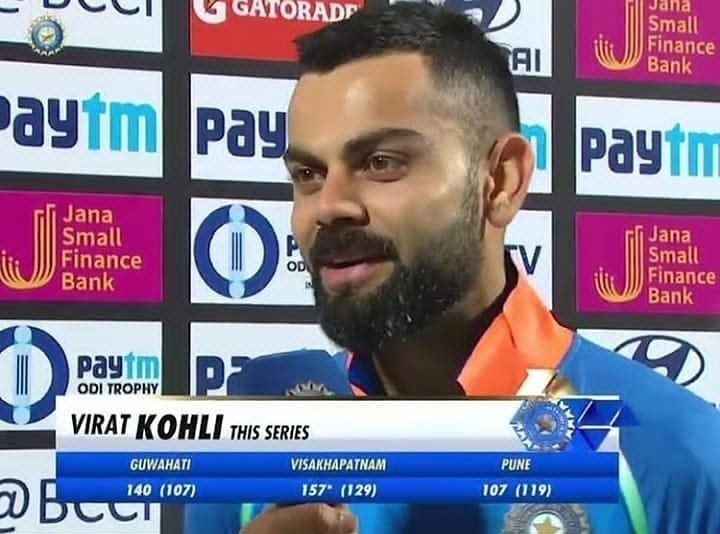 Today we will compare Virat's three centuries and decide which century was most toughest and explosive. Indian skipper Kohli scored 140 runs in 107 balls in the first match of the series in Guwahati. During this time he scored the runs at a strike rate of 130.84, which also includes 21 fours and two sixes. In this match Team India won by 8 wickets. In the second match on October 24 in Vishakhapatnam, captain Kohli scored second consecutive century. In this innings, he faced 129 balls and scored unbeaten 157 runs, along with 4 sixes and 13 fours and a strike rate of 121.71. His century was not able to conquer India a win and the match was tie. 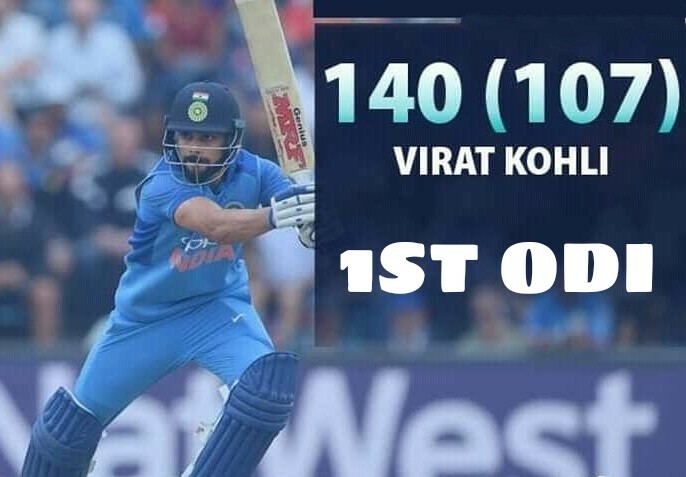 King Kohli made his third consecutive century in the match played last nigh in Pune. Run machine Virat Kohli scored 107 runs in 119 balls with a strike rate of 89.92. During this time, he scored 10 fours and one six. 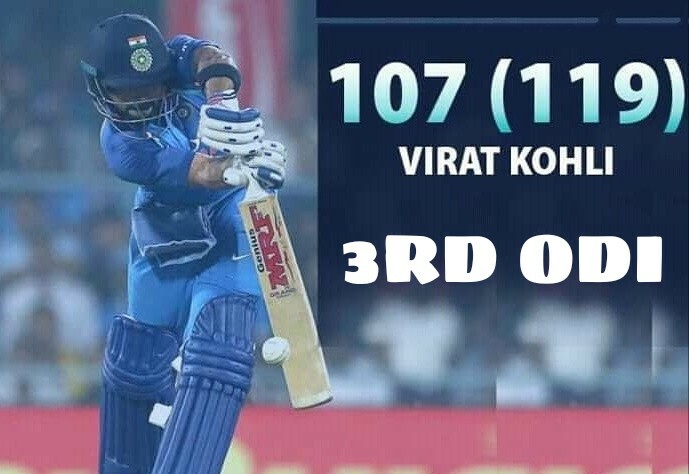 Unfortunately this century went in vain has no other batsmen support Virat during the chase and eventually lost the game by 43 runs. So Friends, According to your opinion ? Which century was the most explosive ? Do send us your valuable feedback's below.